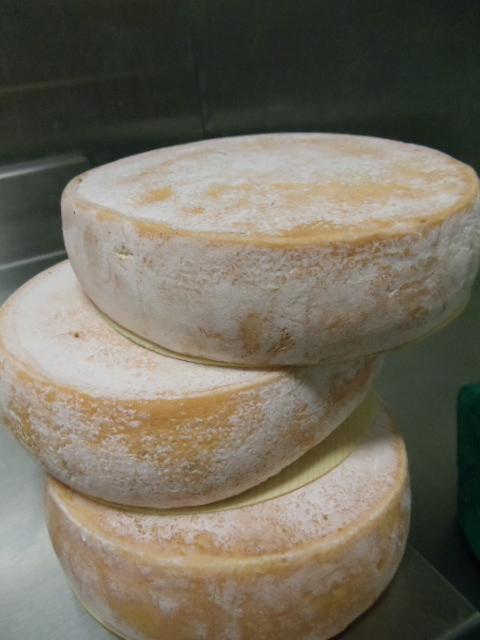 This week my purely arbitrary cheese obsession of the week is the Tome des Pyrenees affinaged by Rodolphe Meunier. It’s bark-wrapped raw cow’s milk from Basque country. Unlike most bark-wrapped cheese it is not oozy, but semi-soft, at least the versions in the U.S. Now that Americans (myself included) have proven to themselves that they can enjoy strong cheeses, I hope that cheese like this can come into popularity. 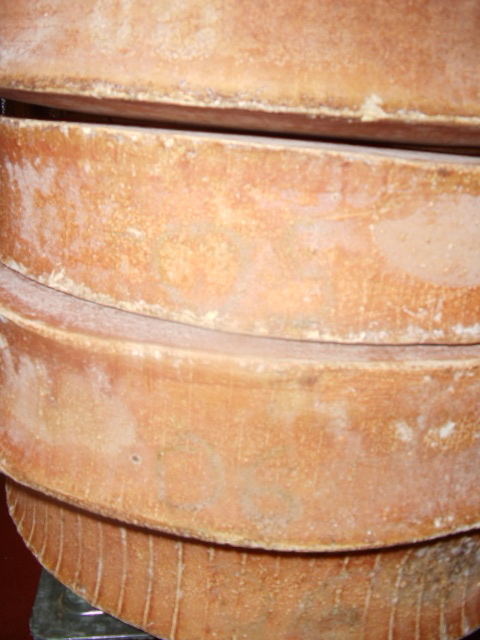 Tomme des Pyrenees is not strong at all, it’s the — sometimes confounding to shoppers — epitome of a cheese that is mild, but complex. It’s earthy, woodsy, rich, fruity and just an all around pleasure to eat. You have to take a second to appreciate it because the flavor does not all show itself at once. If you bring it to room temp and let the cheese linger on your tongue, you will be rewarded with a cheese you will keep tasting because 1. You will be trying to isolate all the different flavor aspects and 2., it is just an awesome experience. Now that the holidays and the food show are done, we can get back to weekly installments of my Purely Arbitrary Cheese Obsession of the Week. Originally, I started this series to write about whatever I had the most fun sampling out to customers over the weekend. Well, we finally got back the cheese that is always the most fun to sample. 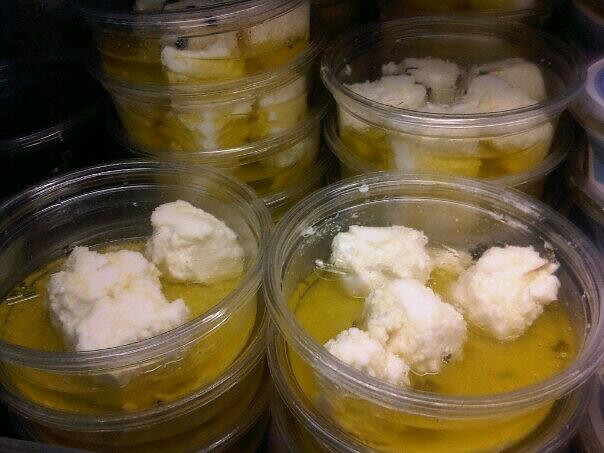 This is the Meredith Dairy Feta marinated in oil and herbs. This cheese is almost literally irresistible. I would estimate the 90% of the people who try it for the first time put it in their carts. It’s that good. This batch is a blend of goat and sheep milk though that varies at times. It used to be sold under the brand name 34 Degrees but now is sold under the name of the actual producer, Meredith Dairy. It comes all the way from Australia and has long periods of being out of stock but we always bring it back. People have cried over this cheese numerous times. When they taste it for the first time and also when we tell them we won’t be able to get it for a couple of months. We have tried to copy this recipe for those times we can’t get it, but we’ve never come close. True to form, I started sampling this out at 7 PM on Saturday and pretty much emptied the shelf by our 9 PM closing time. At 8 PM, my co-worker Chickenhead and I were packaging up some membrillo and decided to try it with the feta. How was it? I couldn’t get out full sentences. I think what came out of my mouth was just an intelligible random assortment of swear words. It was that amazing. I wish I had some right now. I may have to go to the store on my day off and get some. That’s how good it is. Heh. I really shouldn’t have named my regular review “Cheese of the Week”. One, it’s a boring name. Two, it sounds like something a million other cheese blogs would do and three, it was really just about whatever cheese I was obsessing over behind the counter — not an attempt at an unsubjective “best cheese in the case” or anything. That hasn’t stopped people from trying to suggest I mention their cheese, of course, but this is purely for fun, not an attempt at a well-rounded representation of great cheeses. No, I am going with the I-don’t-think-it’s-for-sale-yet-and-I-don’t-know-anything-about-it Mount Mazama that David gave me a sample of. It’s a goat and cow milk blended Cheddar and I am in love already. It’s the kind of cheese that makes you wonder why no one has done it before. There are not a lot of great Cheddars on the West Coast (Fiscalini and Beechers who else?) but I think we are going to add this one to the pantheon. Fruity, shardy, sharp, and rich. Awesome. Real, raw milk Reblochon used to be available all the time. When I knew little about cheese, I used to order it from my regular distributor with no idea that it might not be legal. I knew it was made from raw milk, but I just took folks word that it was 60 days old. 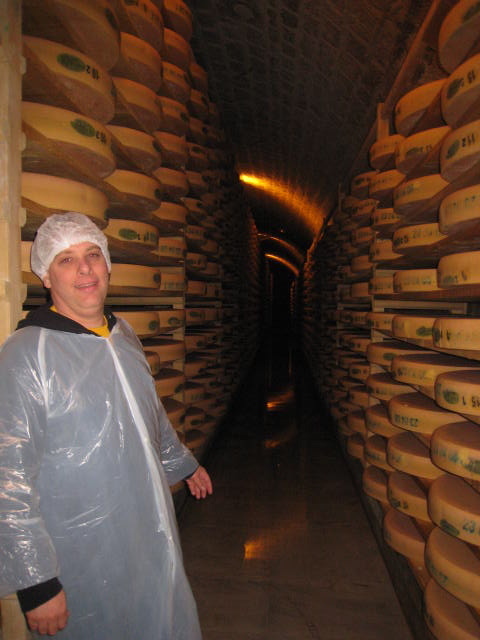 After 9/11 everything changed, even cheese importation. 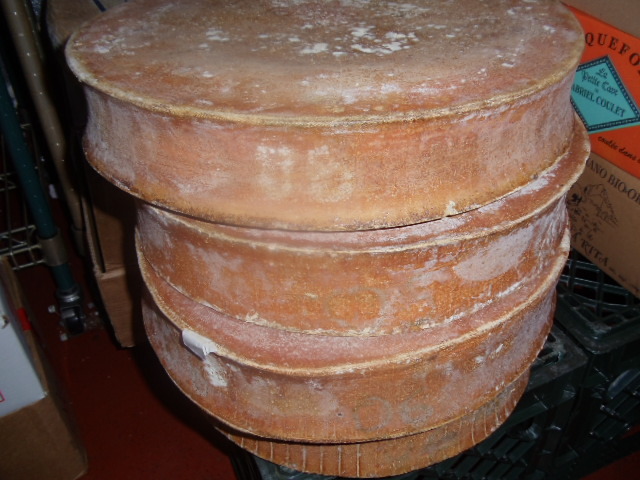 With much heavier scrutiny and the risk of thousands of pounds of cheese being held up – until unusable – because of one marginal seller, the choice was clear. No more real Reblochon. Though many distributors have attempted to sell pasteurized versions under an assortment of names, they just don’t match up. Too much butterfat, too little complexity. When I was in France, one producer was super excited about his pasteurized version. We did a blind taste test with his pasteurized and raw milk cheeses and then he went around making us guess (whispering in his ear) which was which. This was not a super-advanced group of cheese folks on this tour. Still, every single person guessed correctly. The cheesemaker looked sad. I had actually forgotten how good real Reblochon was until I tried this Grand Modele imported by Soyoung Scanlan of Andante Dairy. It’s “Grand Modele” because it’s made in a bigger format so that it can age long enough to be legally imported to the United States. Any Haute-Savoie cheesemaker could do this, of course. The trick is changing this centuries old recipe and still getting the texture similar to what you get in the standard (smaller) version. The Grand Modele is probably a little bit firmer — I was told this may vary –but otherwise almost identical. 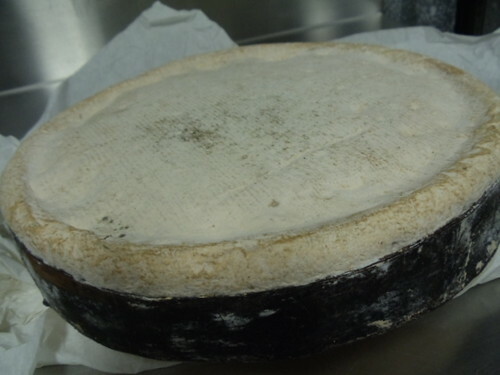 Real Reblochon is one of the few cheeses I have a hard time describing in words. Its flavor, and the satisfaction of eating it, is bigger than the sum of its parts. It’s earthy, buttery, and grassy but it’s more complex than almost any other cheese I would describe with those words. There’s a milky sweetness, but it’s subtle. 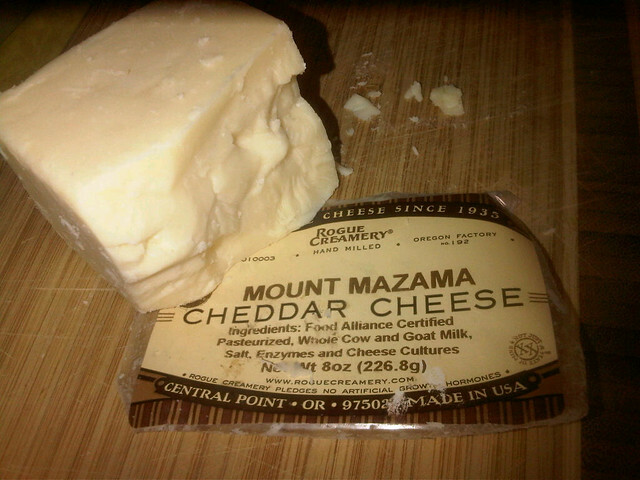 It’s got the intensity of a stronger, washed-rind cheese, but it never nears pungency. I hesitated writing about this cheese because it is so good I don’t want to risk not being able to get enough if demand picks up. But it’s also too good not to share. Reblochon, welcome back! I didn’t realize how much I missed you until I tasted you again. This is American Cheese Month and all I have done to celebrate is sarcastically comment on other people’s facebooks that my favorite U.S.-made cheese is either Jarlsberg or Blue Castello. But c’mon, every month is American Cheese Month for me. It seems odd to single October out. 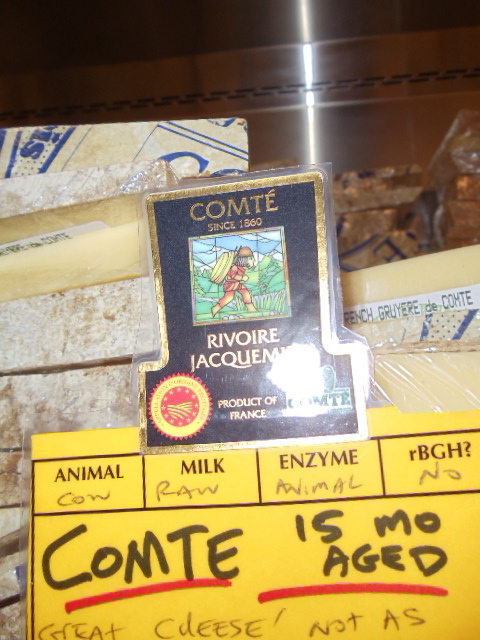 Right now in my fridge I do have a French Comte,* but it’s sitting in the cheese compartment with some Harley Farms goat cheese, a fresh Jasper Hill Harbison, an American sharp Cheddar and a little bit of Franklin’s washed-rind Teleme that I posted a picture of yesterday. Oh, and some Cypress Grove Chevre to stuff dates with. But I’m not here to talk about cheese today. Nope, I’m here to talk cheese accompaniments. Because we got the most awesome stuff in the other day. I am very skeptical when it comes to selling jams out of the cheese department. I hear it works elsewhere, but after 15 years of people telling me how well their products will sell in our area, then watching them not sell and take up valuable space, I’m pretty much an automatic “no”. So, when this woman emailed about how great her jams were I was not expecting much. Additionally, in our store, as in most grocery stores our size, I have to work out with our regular jam buyer if stuff should go into the cheese department or her sales category. She is pretty jammed up** as well so neither of us were super enthusiastic – on a professional level — to meet Tabitha from Friend in Cheeses. She seemed nice in her emails, but whatever. In fact, the other buyer begged out of the meeting, claiming she was too busy. As soon as I tasted the Carrot Marmalade though, I paged her and told her she needed to get upstairs right away. Because it was amazing. So amazing that we bought them all for the store, dividing them up between our two departments. Sweet Onion Jam? OMG. Fig and Fennel Jam? Yes. I have a picture of my other favorite. 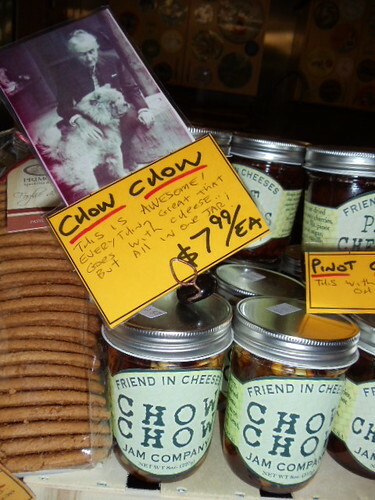 She calls it “Chow Chow” but warned me that people from the south will get mad about it because, unknown to her when she named it, there is a regional relish called “Chow Chow”. My little Texan at home confirmed this yelling, “This isn’t Chow Chow! You Californians insist on being ignorant and narcissistic, don’t you? Chow Chow already is a food!”**** Still, she agreed it was really good. Here’s a picture of the Chow Chow with Georgia O’Keefe and her Chow Chow, just to further confuse the issue. ***** It’s mixed nuts and berry in a honey base with a little bourbon thrown in for good measure. Uh huh. *Not only is this an awesome cheese and impossible to duplicate, flavor-wise, at near the same price, if one is serious about protecting traditional, small-scale cheesemaking, this is a cheese to support. To my knowledge, no other cheese is limited in production-scale by definition in its name-controlled designation. ***my favorite was actually the obvious: mixed with fresh chevre. But it was good with everything I tried. *****Anyone from Georgia O’Keefe’s estate reading this, please don’t sue!